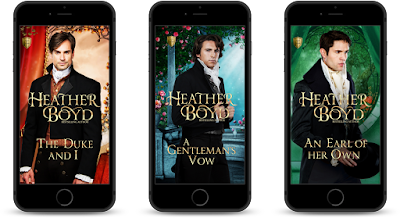 Happily Ever After Thoughts: AN EARL OF HER OWN by Heather Boyd and a Chance at a Print Book! 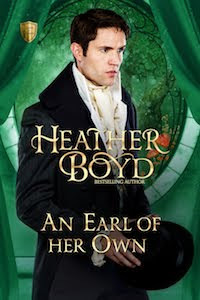 AN EARL OF HER OWN by Heather Boyd and a Chance at a Print Book! 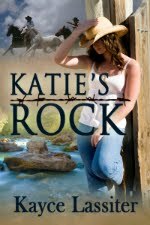 Excerpt: “You are hurt, worse than you want to say,” Rebecca Warner whispered. Her soft green eyes were filled with real concern, something Adam had never expected to see on her face. 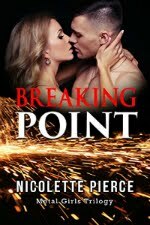 “Well, that is disappointing.” “Disappointing?” Rebecca immediately began searching through his hair for the wound, and he chose to imagine it a sensual caress until she spoke again. “You have a gash to your head that has bled. Dear God, you could have died.” “Always looking on the bright side,” he murmured, and then noticed how close the lady was to his body. He inhaled slowly, delighted in this unexpectedly rare treat. 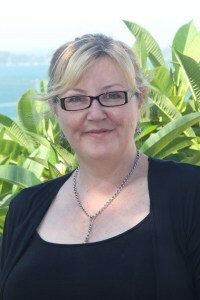 Mrs. Warner had never been the friendliest sort. “You smell nice.” “Really, Rafferty,” she chided. She suddenly slipped her hand inside his coat, rummaged in his pockets and began to dab at his head with the handkerchief she found there. “This is hardly the time to worry about my perfume.” “As you say, I could have been killed. Seems like an appropriate time for noticing the little things in life that please me.” He felt pain and hissed. Eager for a distraction, he dropped his gaze to her shoulder—now bare of the shawl, which had fallen away unnoticed by the lady. The respectable garment Rebecca had worn to church, so stylish and modest, was less so now thanks to the accident. The struggle out of the carriage seemed to have ripped the seam apart, and her pale skin looked very soft and inviting. He curled his fingers into the skirt of her gown and held it. “Lovely.” She drew back to peer into his eyes again, and then she glanced down at his fist. “What are you doing?” What was he doing? Adam had no idea, but he wasn’t of a mind to stop.